18 photos of steam-hauled royal trains, starring 6233 Duchess of Sutherland (2005), 60163 Tornado (2010) and Britannia (2012). 6233 Duchess of Sutherland, Garsdale, 22 March 2005 1. 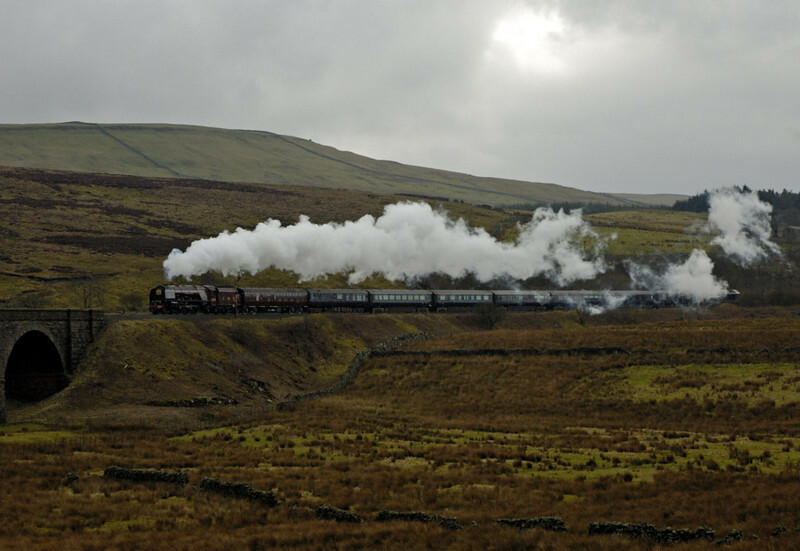 Here are four shots of the Duchess taking Prince Charles over the Settle & Carlisle line, seen here leaving Garsdale.